In honor of Opportunity's rover twin, the team has chosen "Spirit Point" as the informal name for the site on Endeavour's rim targeted for Opportunity's arrival at Endeavour. 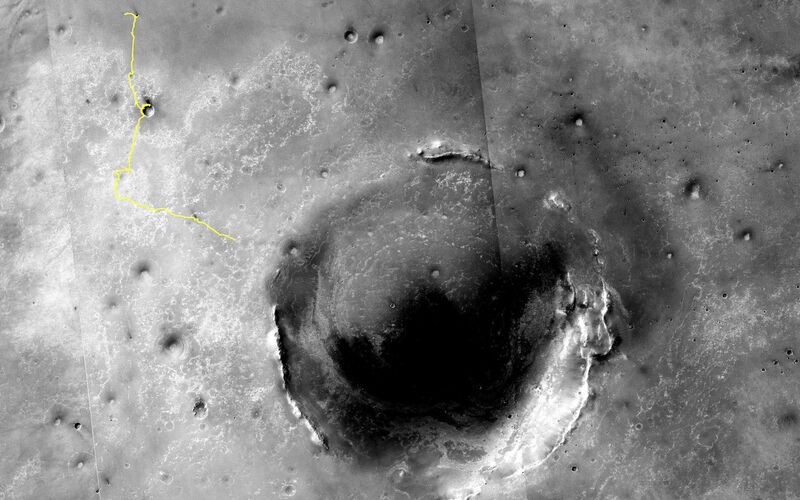 Spirit, which worked halfway around Mars from Opportunity for more than six years, ended communication in March 2010. 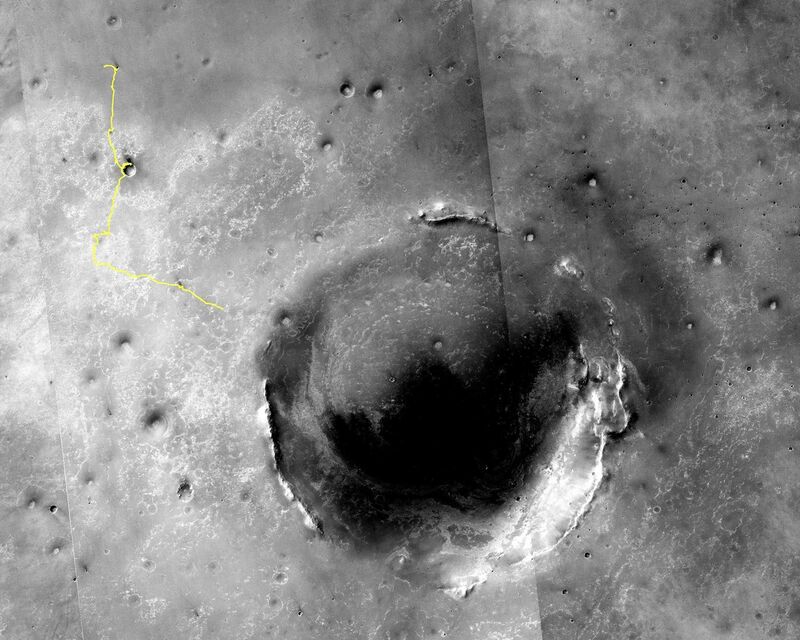 Opportunity reached the point in its traverse indicated on this map on the 2,609th Martian day, or sol, of the rover's work on Mars (May 27, 2011). By that sol, Opportunity had driven a total of 18.58 miles (29.9 kilometers). 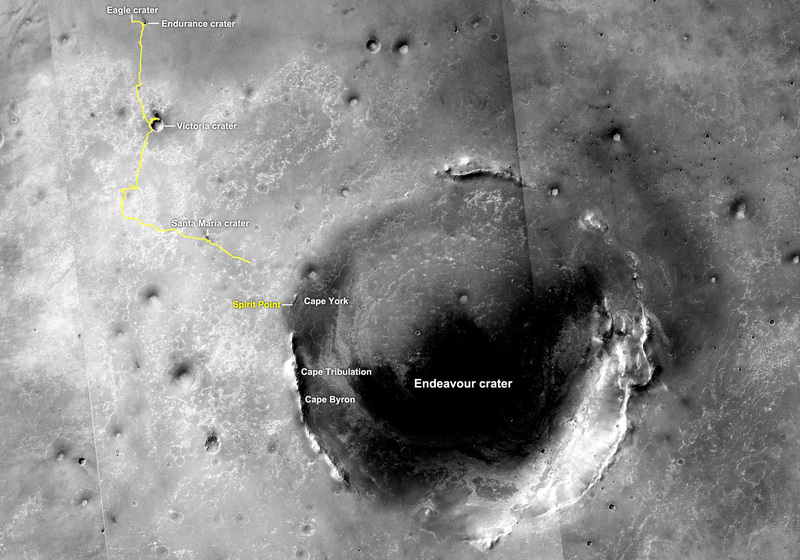 By Sol 2619 (June 6, 2011) it had driven an additional 0.19 mile (0.32 kilometer). The western rim of Endeavour has a series of ridges. Spirit Point is the southern edge of a ridge called "Cape York." Farther south on the rim, a ridge called "Cape Tribulation" offers exposures identified from orbit as clay minerals.